Robert had been with United since he was eleven years old, coming through the ranks before signing a professional deal in 2009. At the start of 2012-13, he went out on loan to Alloa Athletic before making his debut for United later that season. At the end of his contract in June 2013, he was released, and later signed for Dunfermline Athletic. Robert was born on this date in Paisley. Despite dominating throughout, United left it late to take a more than deserved point in a pulsating advert for Scottish football. 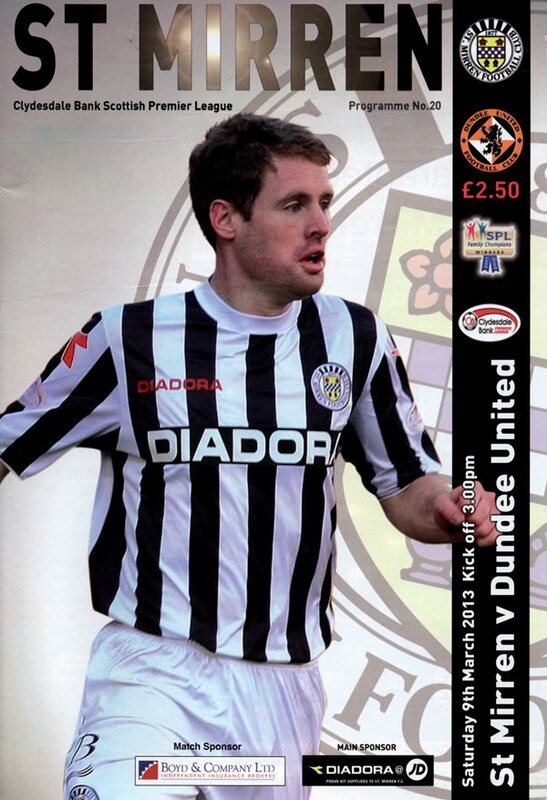 Dundee took a surprise lead though Ryan Conroy and United equalised through substitute Michael Gardyne.